Ditch the single use plastic bags at the fruit shop with our reusable and eco friendly bamboo produce bags. They are lightweight and pack up small enough to keep them in your handbag or glovebox so they're ready when you go shopping. 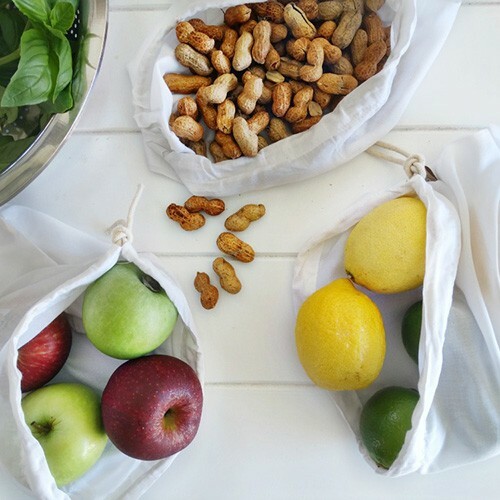 Use for carrying nuts, fruit, grains and vegies and they can even be used as a NUT MILK BAG. Note, while these are slightly heavier than a plastic bag, the weight is minimal at the weigh station. You may choose to remove your produce for weighing, but it's not necessary. Care Instructions Cold hand or machine wash. 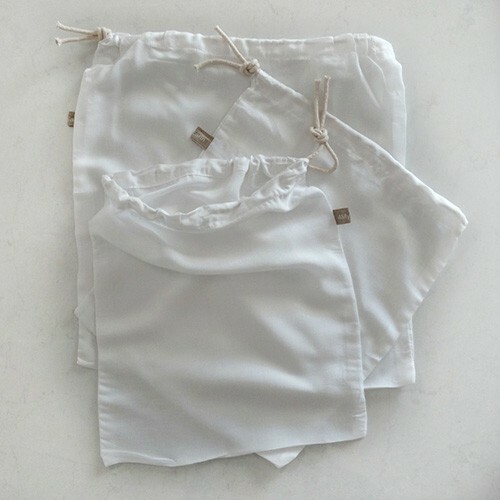 This bamboo fabric will shrink a little after the first wash. We recommend the use of natural cleaning products for hand or machine washing. When using as a nut milk bag, squeeze gently only and rinse immediately after use. 4myearth is an Australian owned small family business. Their products are produced by a family business in New Delhi, under fair working conditions and by adults over the age of 21 only. The packaging is printed locally in Australia and packaged in Australia. 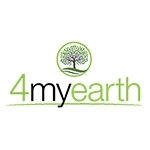 4myearth donate a portion of their products to cry.org who support Indian children's education. Their reusable bread bag is a versatile size perfect for artisan loaves and home baking as well as the traditional block loaf. Wonderful to be using re-useable bags. The bamboo is lovely and soft, the drawstring however, sometimes 'sticks' and it can be hard to open the bags. 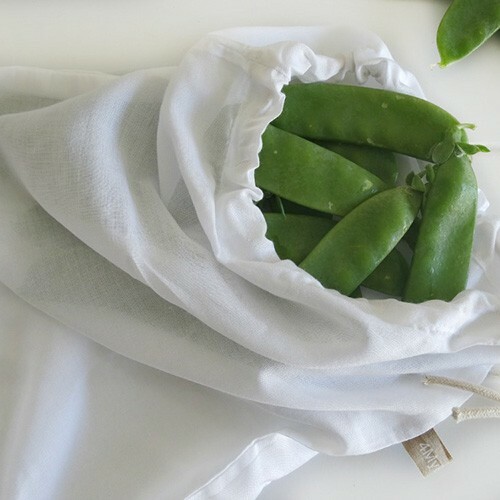 Lovely soft bags that wash well and hold produce well. these over plastic anyday - love them! Love these bags. Perfect for things like beans and grapes where you would previously need a plastic bag to hold them altogether. Love these! Took them shopping and they were so great and so much better than the plastic bags provided at the shops. 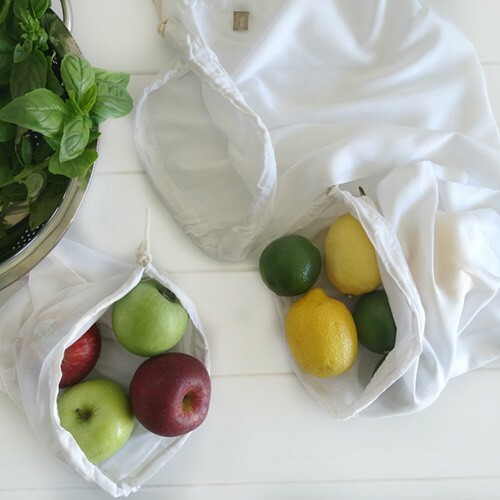 The bamboo produce bags are super convenient, easy to use and soft in the hand. No longer do my apples or bananas sweat in plastic on the way home from shopping! They are a simple and effective product. Be mindful that on first wash, the drawstring ends may unravel, so a stitch or two on the sewing machine to seal the ends first would be a good move. i have them in my trolley and I can avoid plastic for the potatoes and grapes. Beautiful bags, the perfect size for grocery shopping. Small and easy to carry around. I've been quite happy with these bags. They are super handy to just throw in a bag. Because of the material, i needed to trim loose threads inside the bag as the ends of the fabric frays a bit (the stitching isn't undone). Other than that, a great buy! I love these bags!! I use them to make my butter and my almond milk. 3 bags for that price is fantastic and the quality is just great!! I even received them within 24 hours from placing the order. I could not be happier!!! Thanks Jo!! Lovely product but I've since found these much cheaper (different brand but same thing). I'll still enjoy using these. They keep my vegetables as fresh as if in plastic when refrigerated.